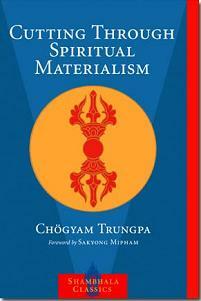 After Daniel Quinn’s Ishmael, this book by Chögyam Trungpa Rinpoche has effected the latest great change in my life. Whereas Quinn got me to resolve to “Save the World”, Trungpa Rinpoche has gotten me to give up any hope, desire or expectation of saving anything – including myself! A surprising reversal is it not? Since it has taken me at least 65 years to get to this point, as simple as this lesson might be, I fear it will be most difficult to describe. Perhaps the best I could do would be to say “Read the book”.